Even though the four major U.S. carriers will sell a total of 0 Huawei handsets this year, the company expects to ship 250 million-260 million units in 2019, and could topple Samsung from the global smartphone throne. A report published on Monday by Digitimes says that with this increased handset production scheduled, Huawei is looking to push the pedal to the metal and expand the output of chipsets from its HiSilicon Technology unit. Huawei doesn't actually manufacture its chips; instead, it farms out its in-house designs to independent foundry TSMC to produce. Huawei's Kirin chipsets power its high-end phones. For example, the Kirin 980 chipset is found inside the Mate 20 series and is expected to power the upcoming P30 series as well. It also launched its Ascend line of Artifical Intelligence (AI) chips last October. The Ascend 910 and Ascend 310 can be employed by earphones, Always-on wearables, smartphones and other devices including laptops and desktop computers. The company was the third largest buyer of integrated circuits last year, spending over $21 billion on semiconductor chips for a 45% increase from the prior year. That is not terribly surprising when you consider that Huawei shipped over 200 million smartphones globally in 2018, up more than 30% year-over-year. Only Samsung and Apple bought more semiconductors last year. Because the Kirin chiupsets are used exclusively on high-end Huawei phones, they are not as well known as the Apple A-series SoCs used on the iPhone, Samsung's own Exynos chipsets, and the Qualcomm Snapdragon chips used on the majority of Android phones. 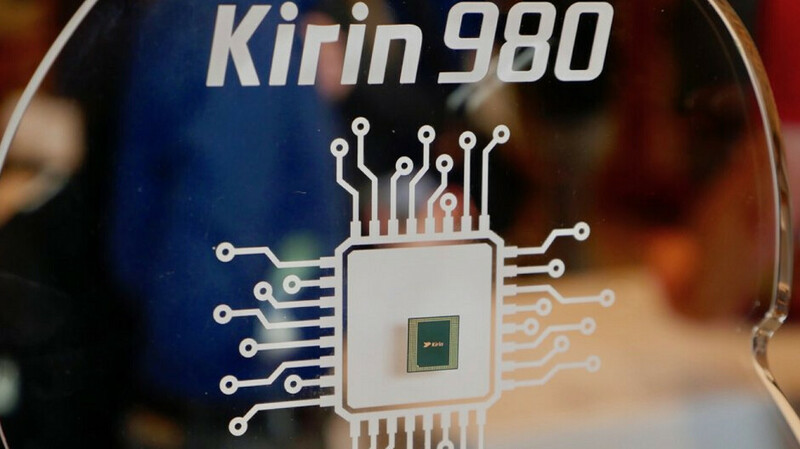 However, the Kirin 980 was the first to use the 7nm manufacturing process. This means that more transistors can be fit onto the chip, making it more powerful and energy efficient than previous chipsets built using fewer transistors. For example, stuffed with 6.9 billion transistors, the Kirin 980 offers a 75% hike in performance and is 58% more energy efficient than the 10nm Kirin 970. It only makes sense for Huawei to increase the output of its Kirin chipsets if they are expecting to sell an increased amount of smartphones. I honestly would not be surprised if Huawei becomes the #1 smartphone manufacturer by volume soon. They’ve been releasing some very capable and competitive flagship smartphones in its Mate and P series smartphones, and some great bang for your buck smartphones from its Honor sub-brand. Their chipsets are not well known? Anyone who knows that a phone have a processor knows about them... General customers don't apply. 58% more efficient? Is this true? I don't know about that number but having had the Mate 10 Pro with Kirin970 and now having the Mate 20 Pro with Kirin980, the 980 certainly runs A LOT cooler under Heavy load versus the 970 that would heat up quite a bit sometimes. The 980 just seems to handle heavier loads with less stress, it's a very well balanced chip from my experience, not quite the Graphics powerhouse of the 855 but CPU wise an incredibly efficient and fast SoC.